A few years ago, members of North Heartland Community Church in Kansas City, Missouri, were inspired to address a pressing problem in their city: Teachers at low-income schools surrounding North Heartland weren’t receiving the school supplies they needed to give students a great learning experience. Money was coming out of the teachers’ own pockets, and church members were determined for that to change. 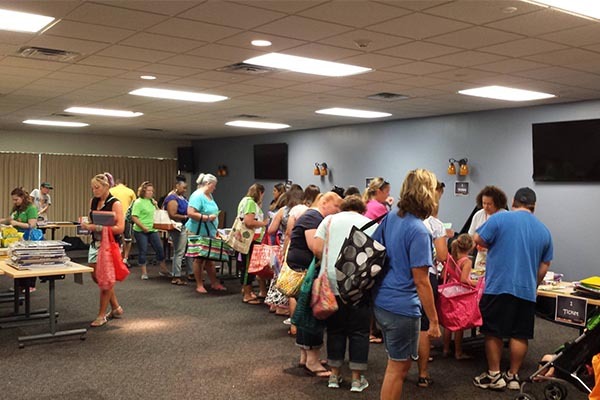 The church raised supply donations and held a free teacher supply giveaway, setting their church up like a store for a day. However, organizing the event soon became more complicated. 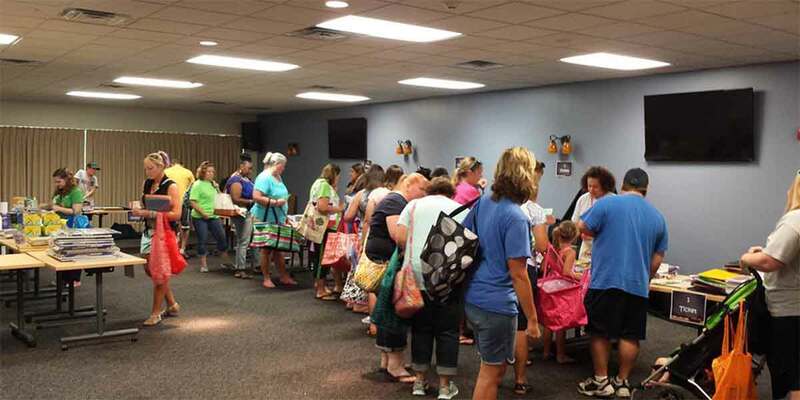 While 120 teachers attended the first year, and the event went off without a hitch, 525 teachers showed up soon after church doors opened the second year. Instead of being helpful, the event was a frustrating and disorganized scramble to grab supplies. Enter a genius tool. This year, the church used SignUpGenius to let teachers sign up for time slots during the event, limiting the number of teacher each hour to about 100. Since volunteers could create the time slots, they were able to leave time for restocking in between, ensuring that every teacher received helpful supplies. The event went smoothly, and the church gained valuable information about which schools in the area were struggling by setting up a custom question on the sign up asking teachers where they taught. “I love that users can edit their own information, as well as receive reminders and that I can communicate with them about things to bring or a note of thanks when the event is over,” says Shannon Horn, an associate pastor at the church. Now that’s a genius idea! Know a teacher who could use some extra support this school year? Nominate them in our $5,000 Teacher Wish List Giveaway. We’re awarding $500 to 10 teachers to help them stock up on school supplies this year. I am sorry to hear you are having trouble using our site. Please contact us directly using the "Help" menu at the top of the page, and we'll be happy to assist you.